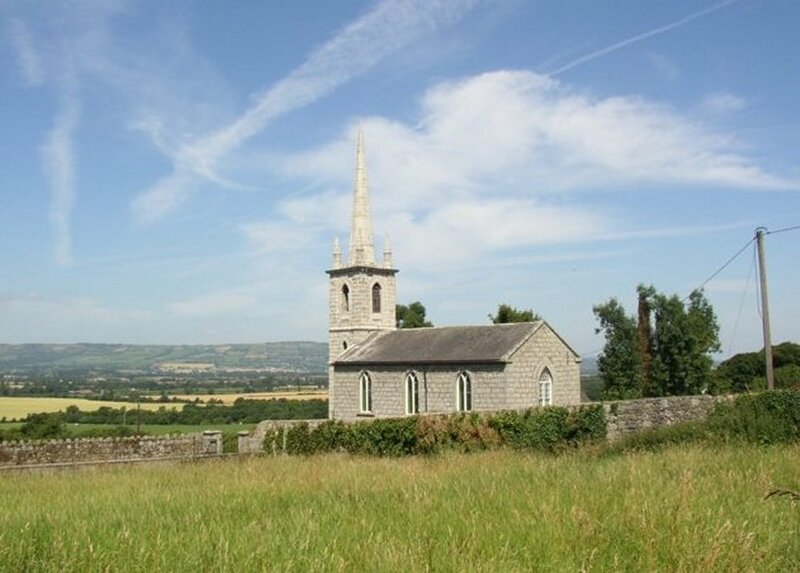 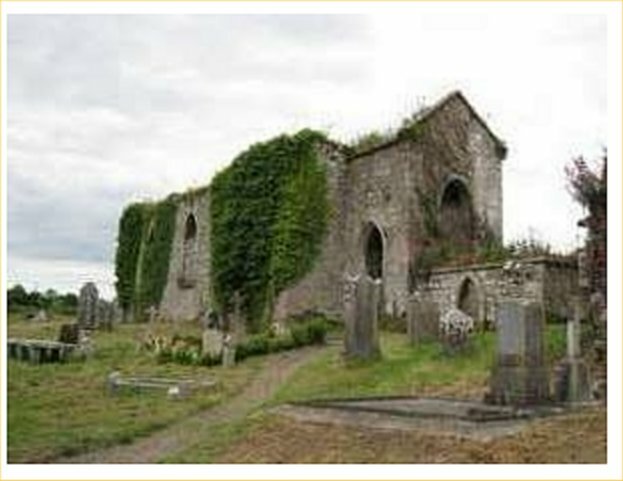 Agha Church near to Hooper's Cross Roads, Rathedan and Cloneen Bridge, Carlow. 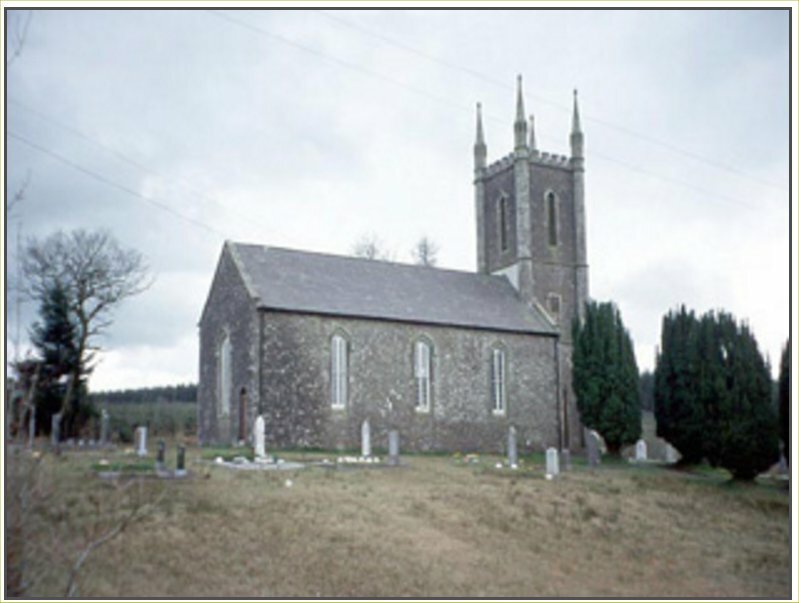 Little is known about this church but it clearly medieval and built in the Gothic style. 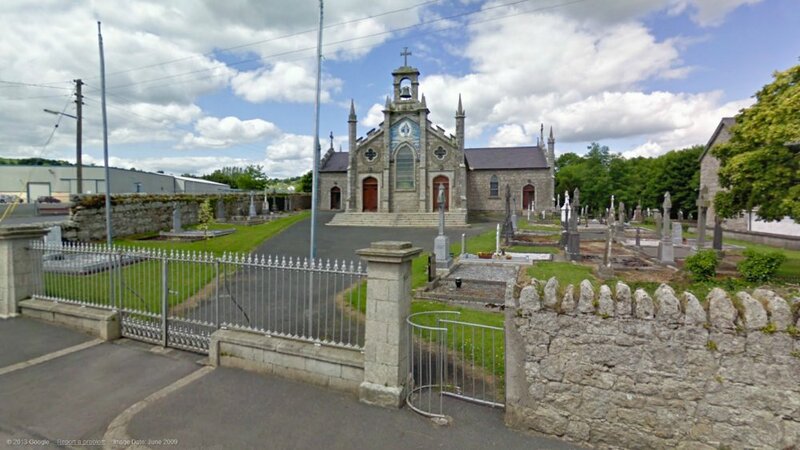 There is a memorial to people who died in the 1798 rebellion there and steps leading to the graveyard. 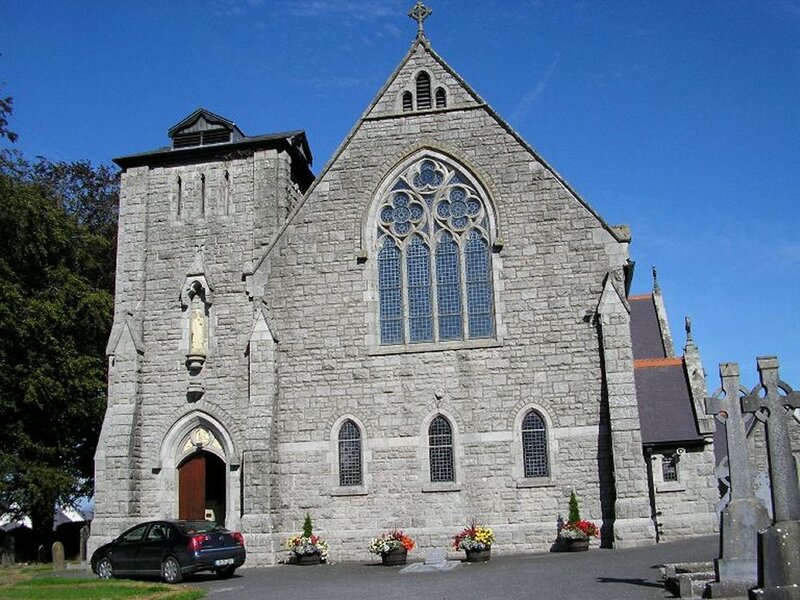 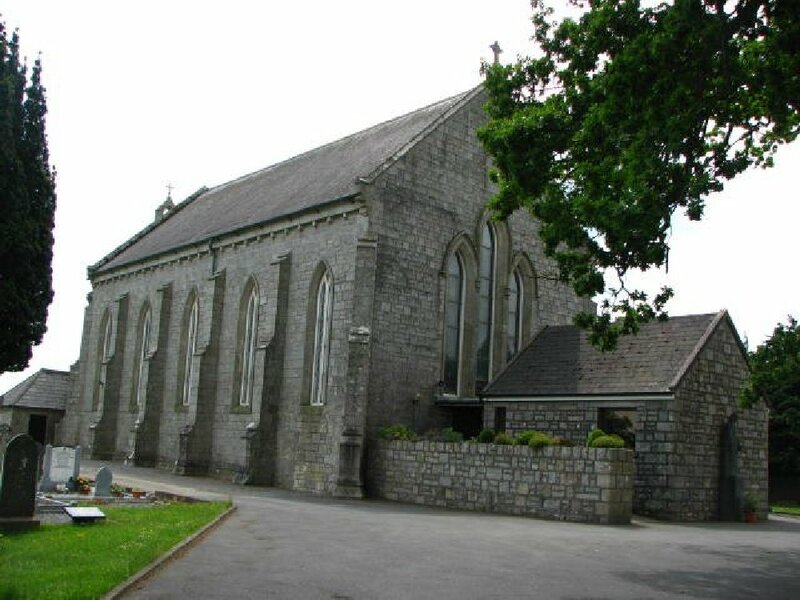 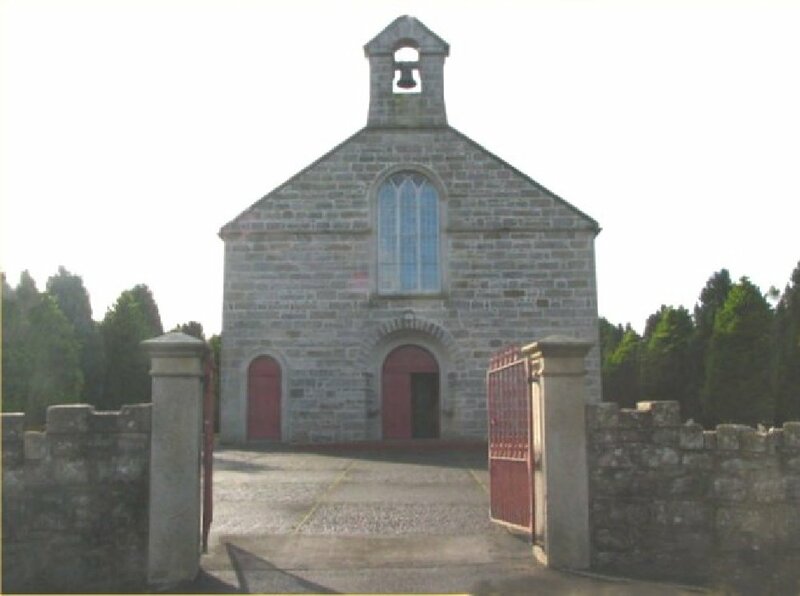 Church of the Immaculate Conception, Ardattin, Co. Carlow. 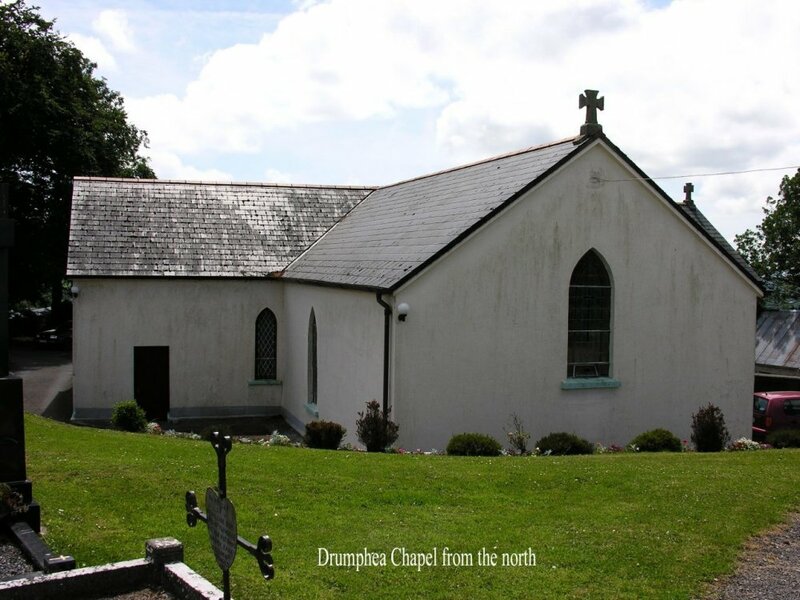 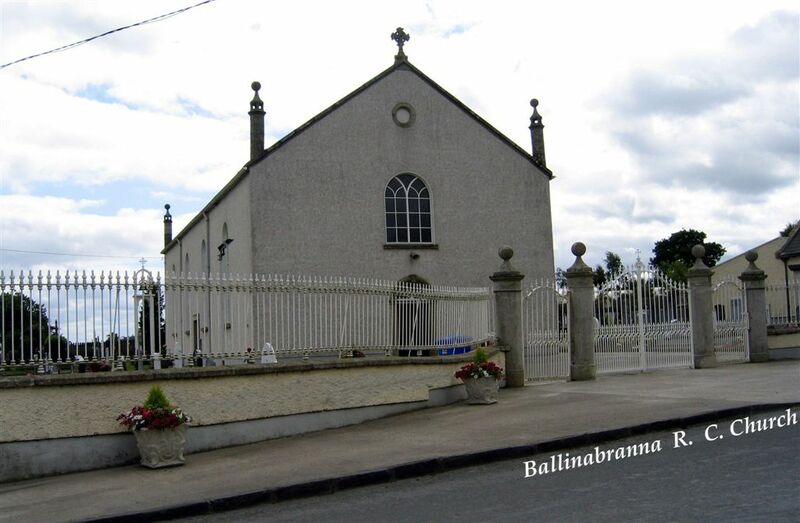 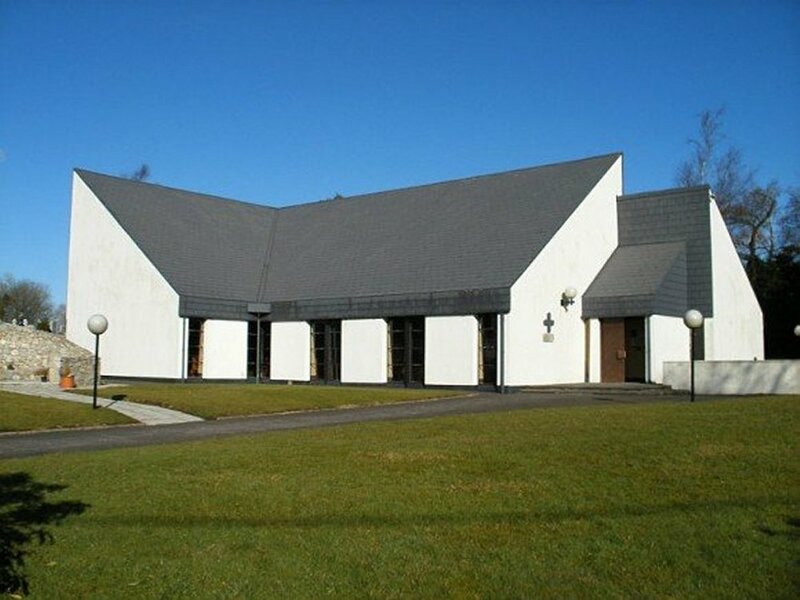 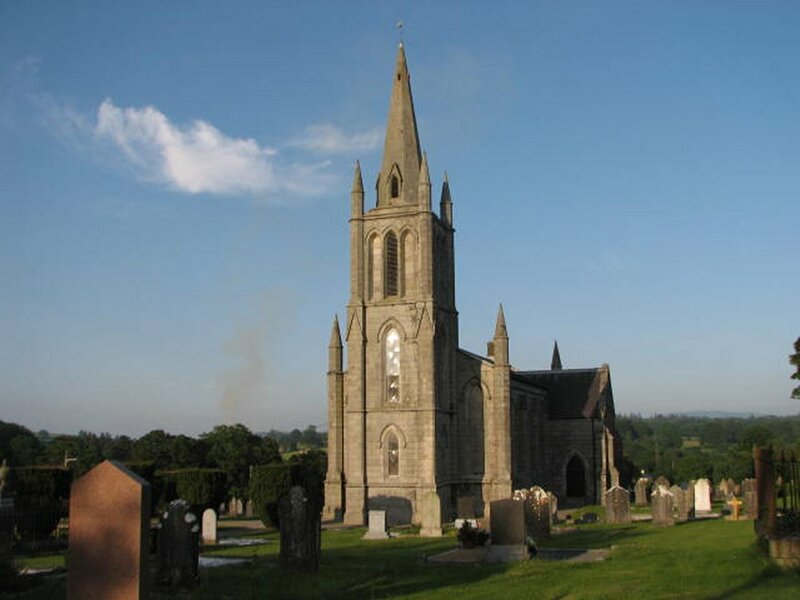 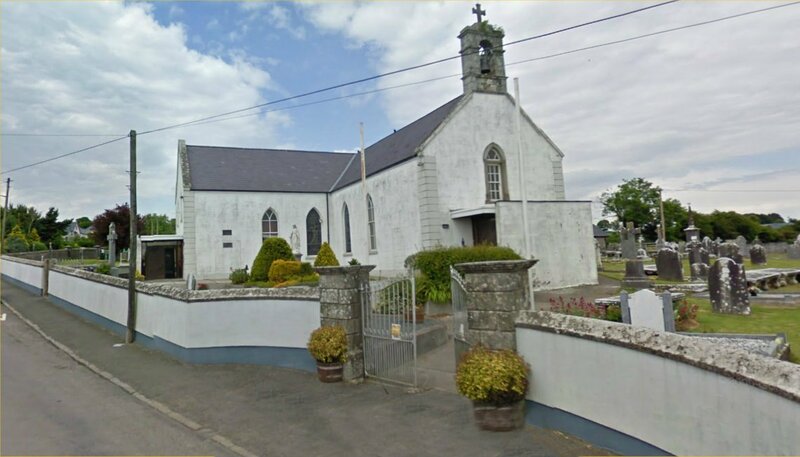 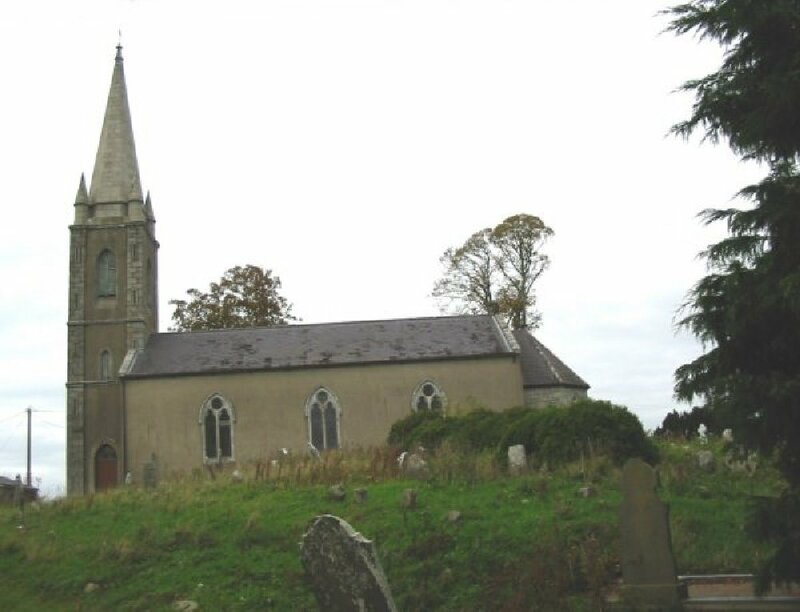 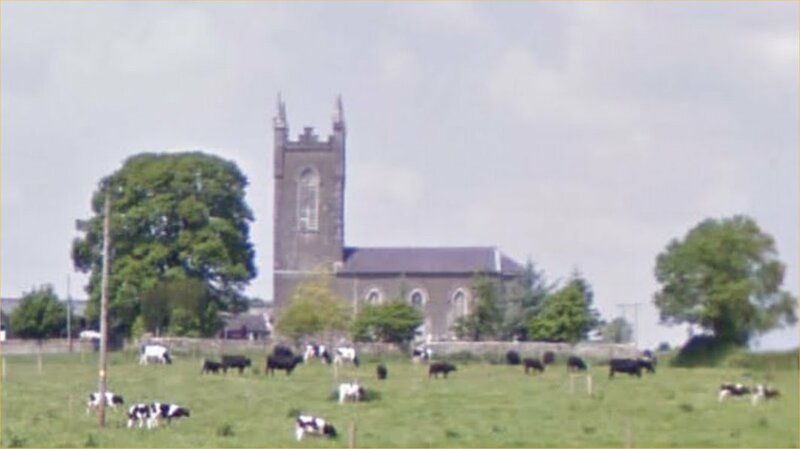 This is the most easterly church in the diocese of Kildare and Leighlin, in the parish of Hacketstown. 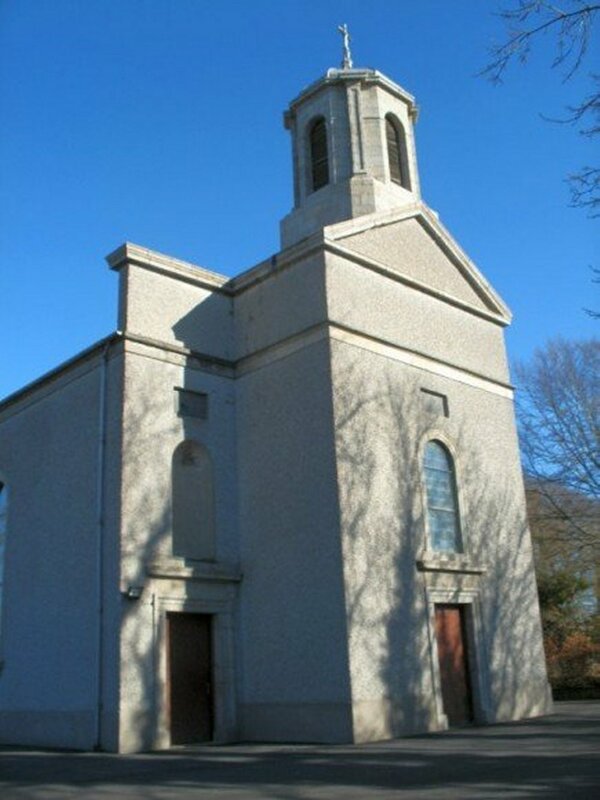 It was built around 1820 and renovated in the 1970s. 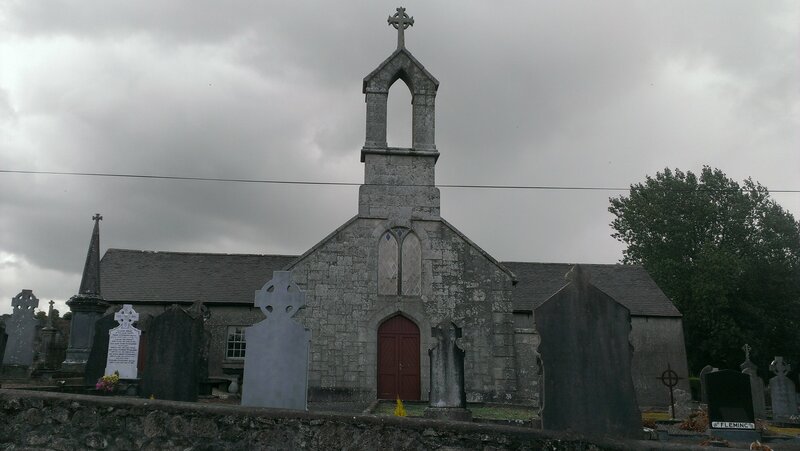 St. Fintan's Church Ballinabranna Co. Carlow. 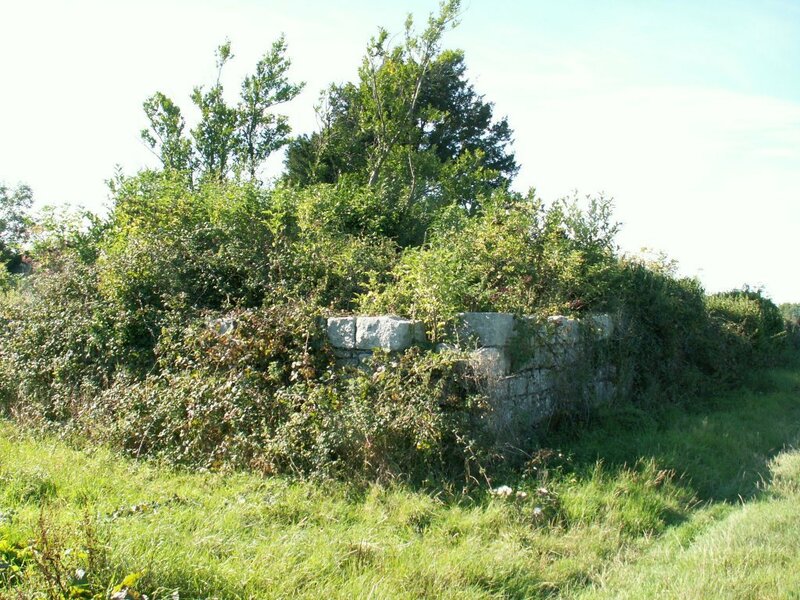 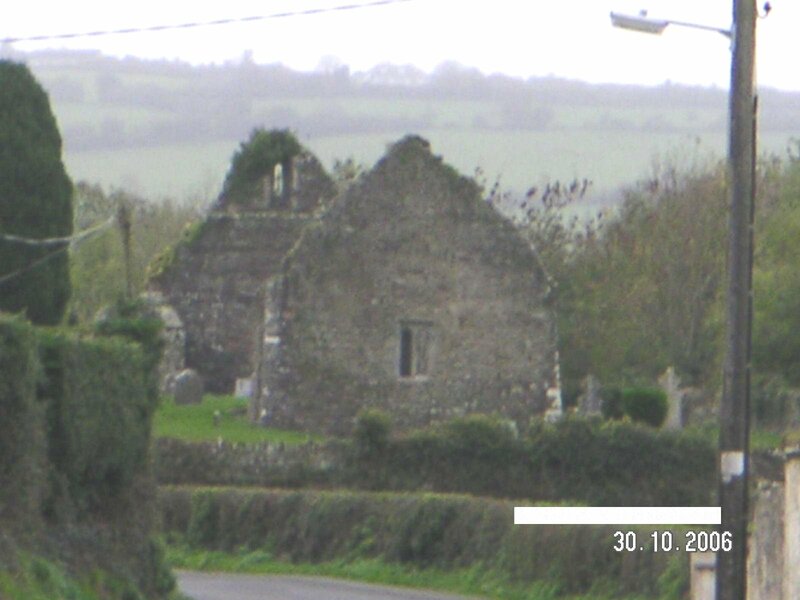 Ballyellen Church (Ruin), Co. Carlow. 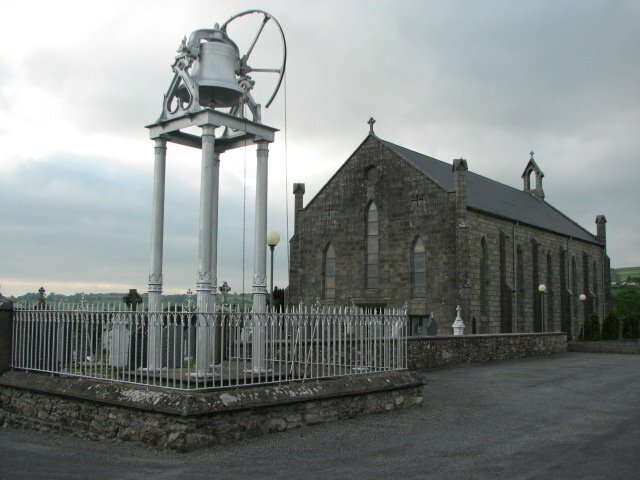 Barragh Church and Carnavane Well. 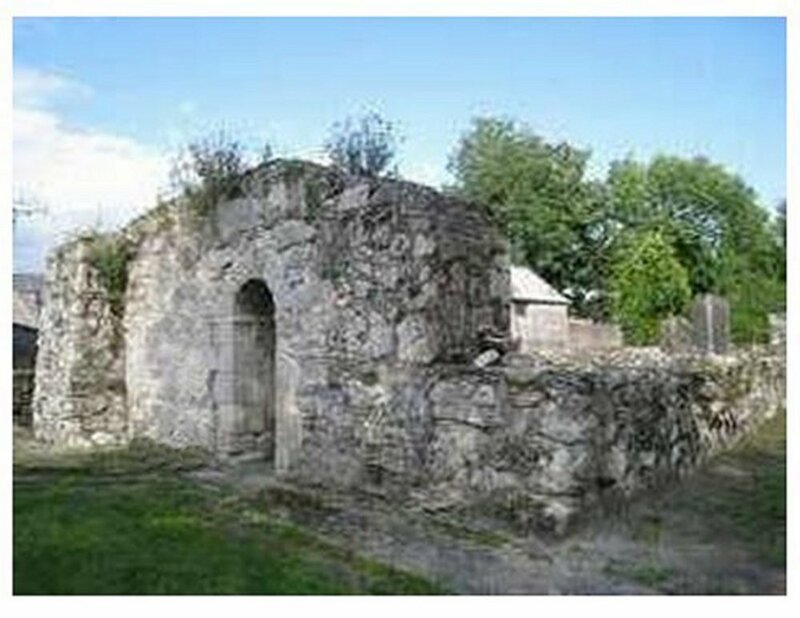 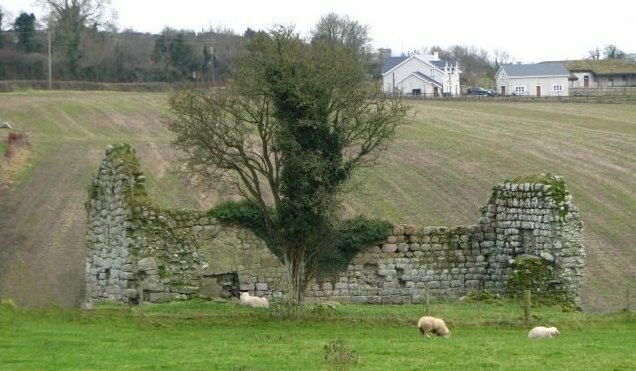 Little now remains of the very early monastery founded on this site by St. Mogue, in the sixth century. 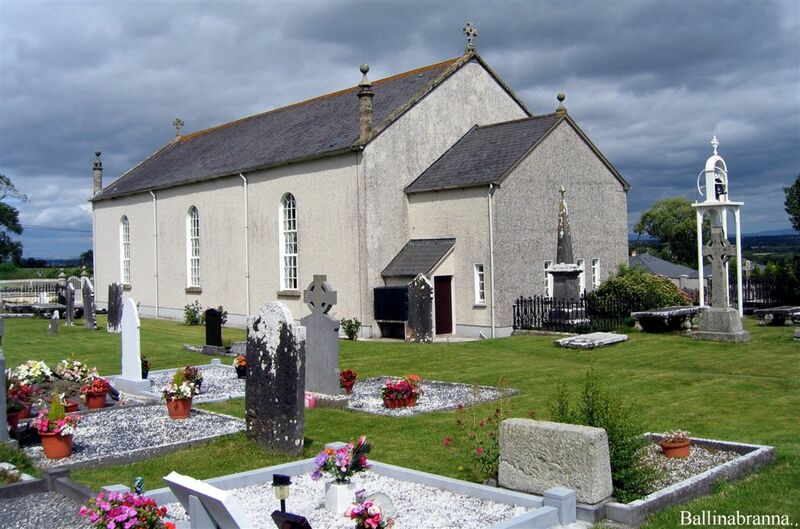 A pleasant concentration of ancient crosses and other early Christian artifacts survive. 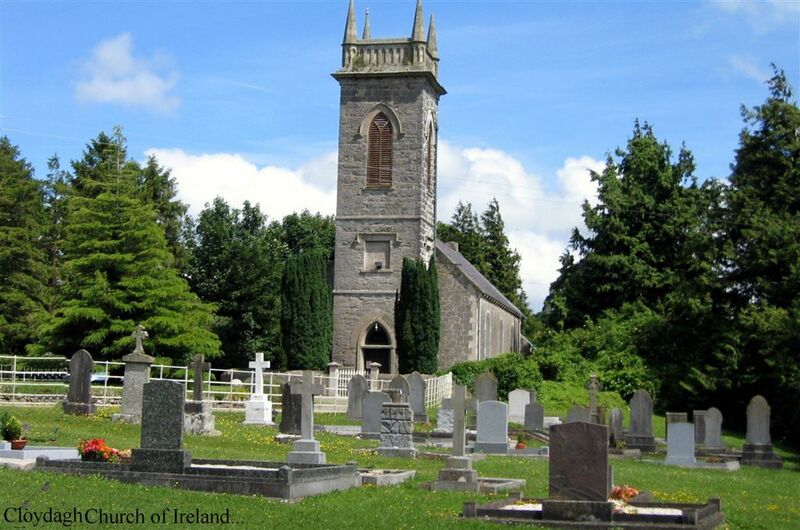 Killinane Church, Closutton, Co. Carlow. 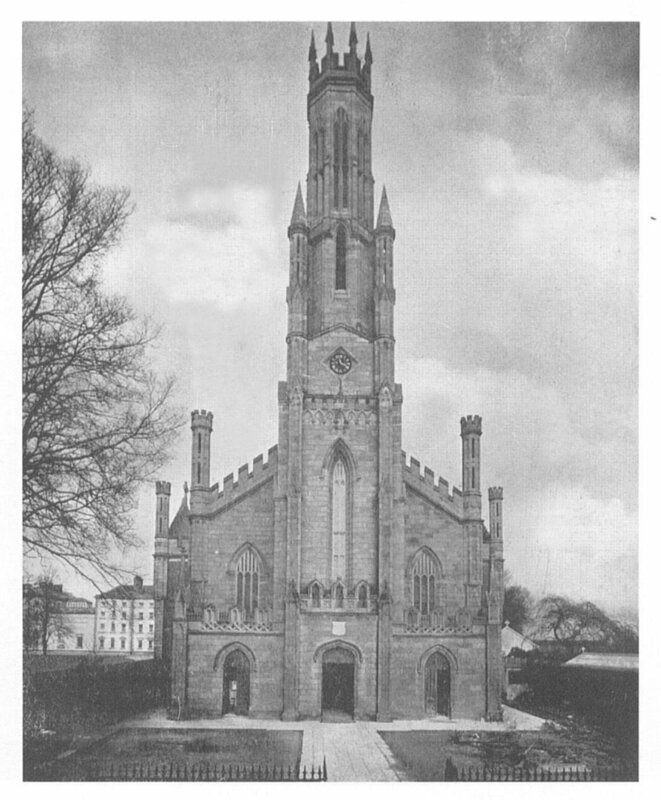 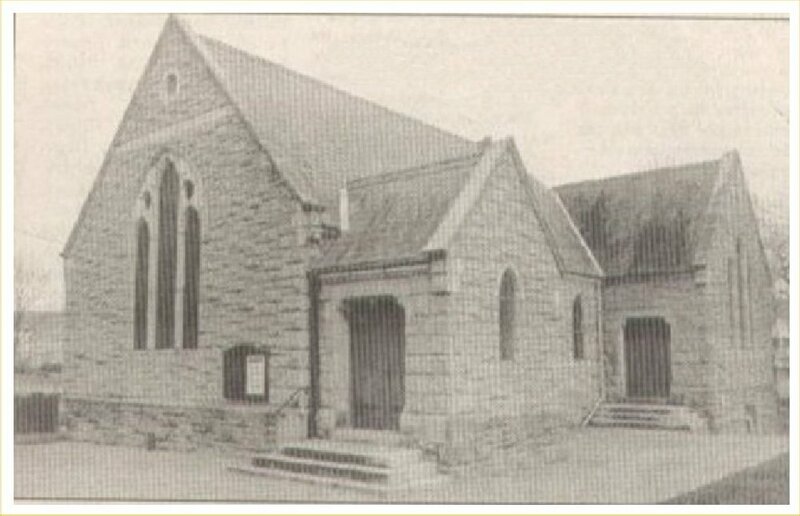 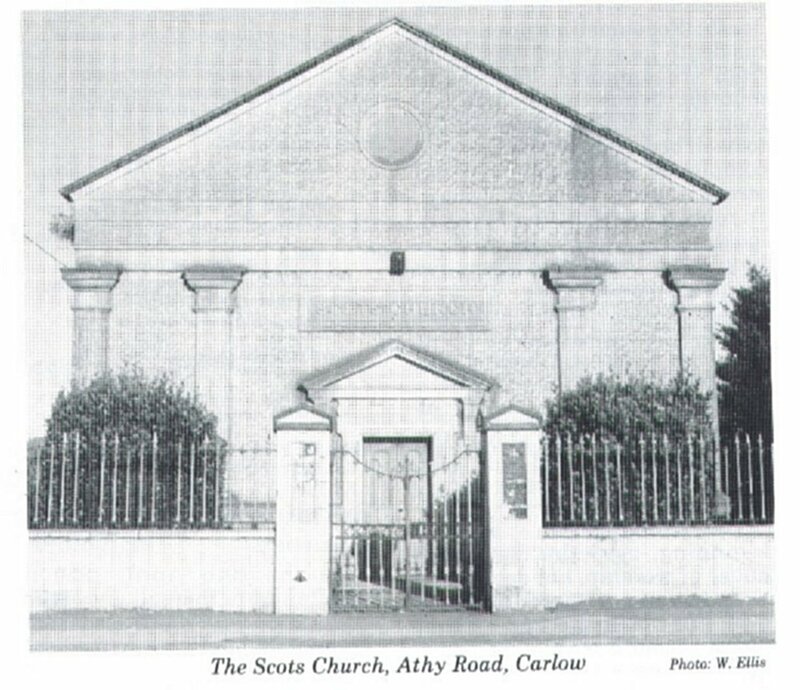 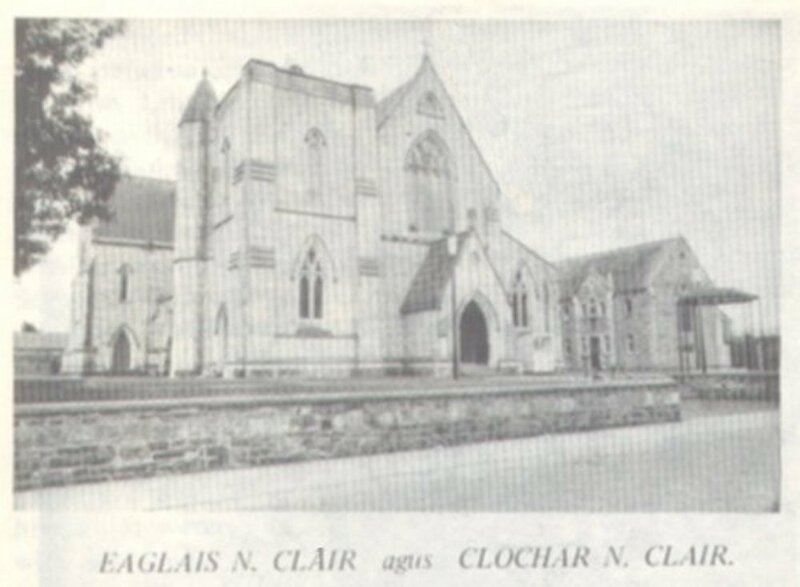 St. Anne's Church, (demolished) Athy Road. 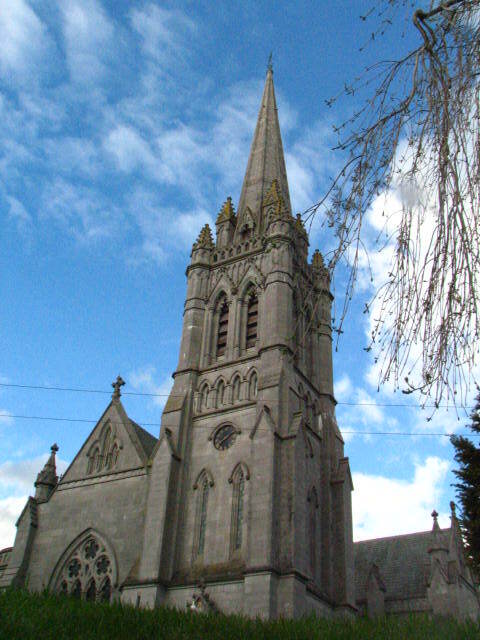 Carlow. 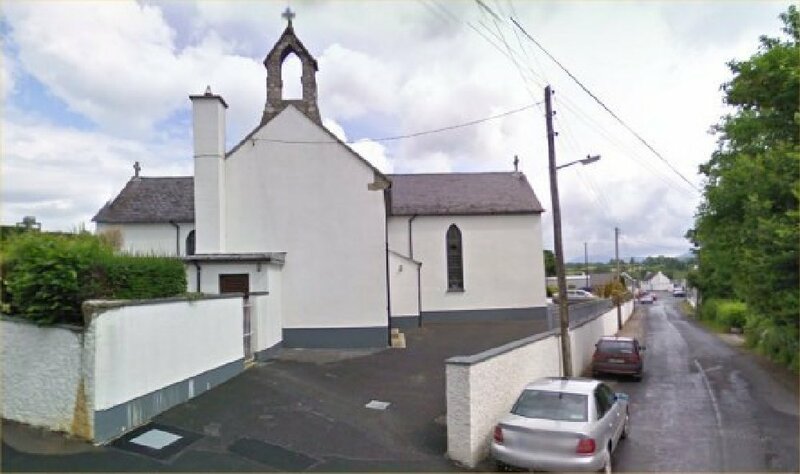 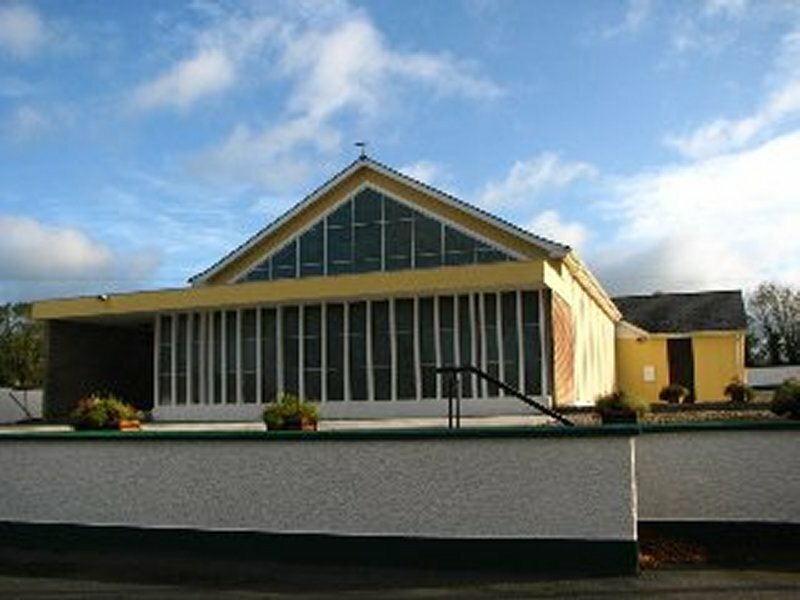 Carlow Methodist Church, Athy Road. 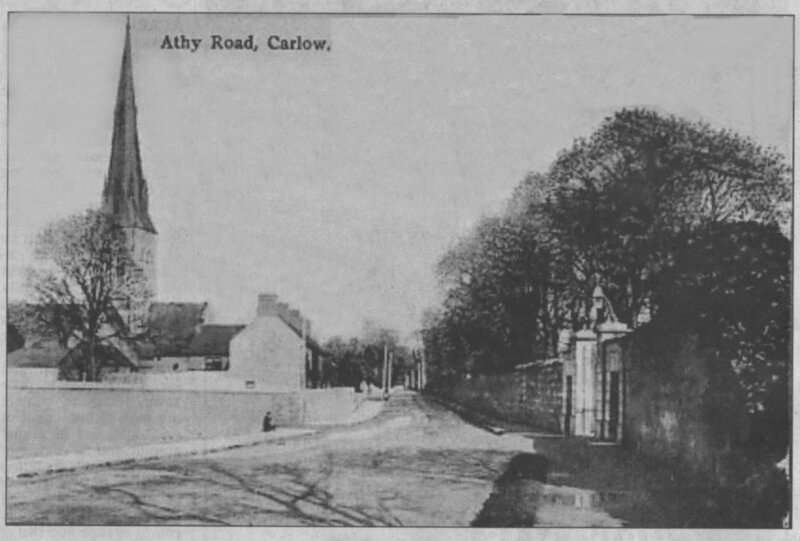 Carlow. 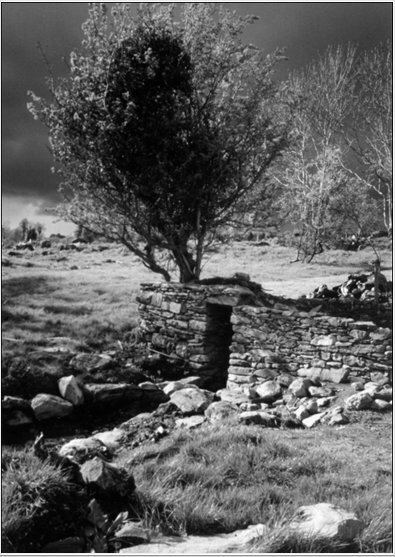 This image appeared in the Carlow Nationalist April 1998. 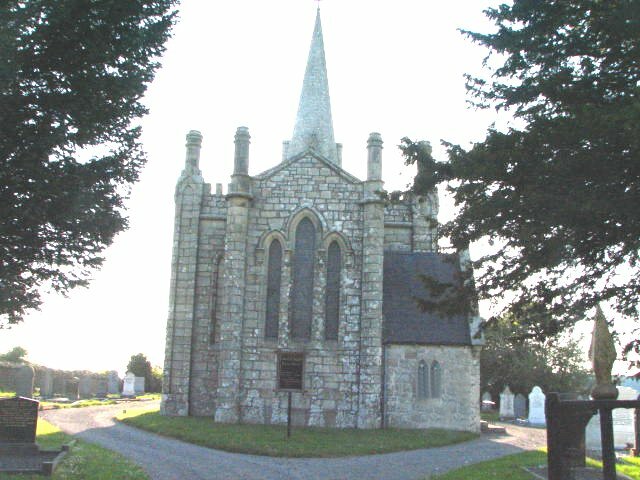 Church of St John the Baptist, Grange. 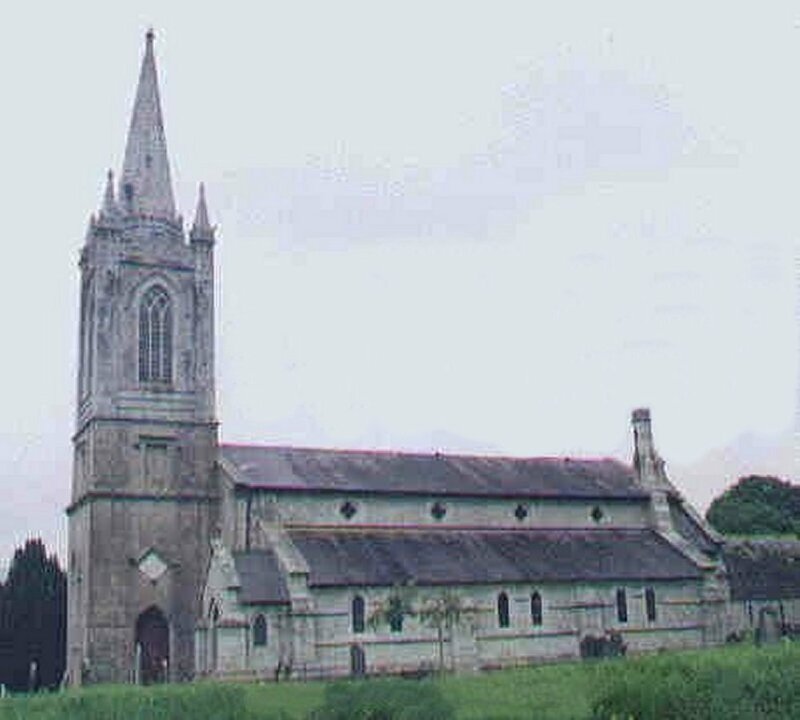 St John the Baptist. 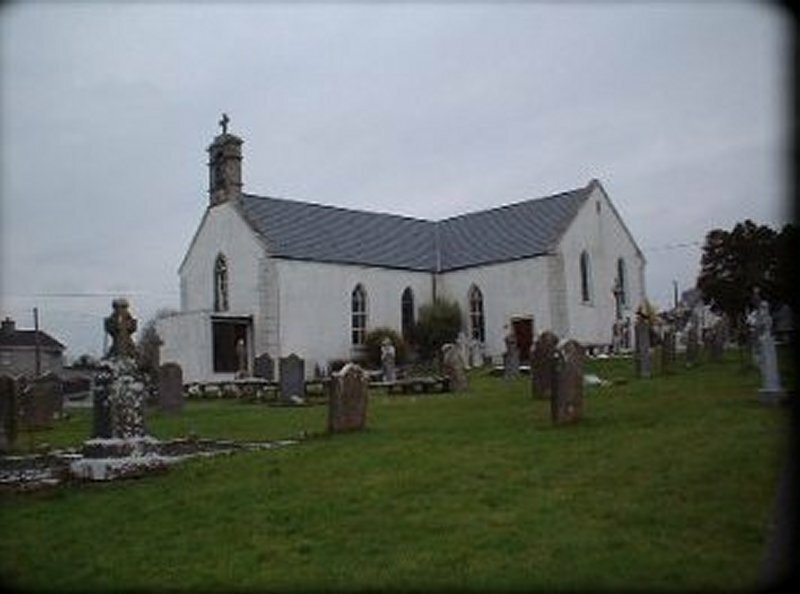 The church is dated from around 1803 and is of Barn Style. 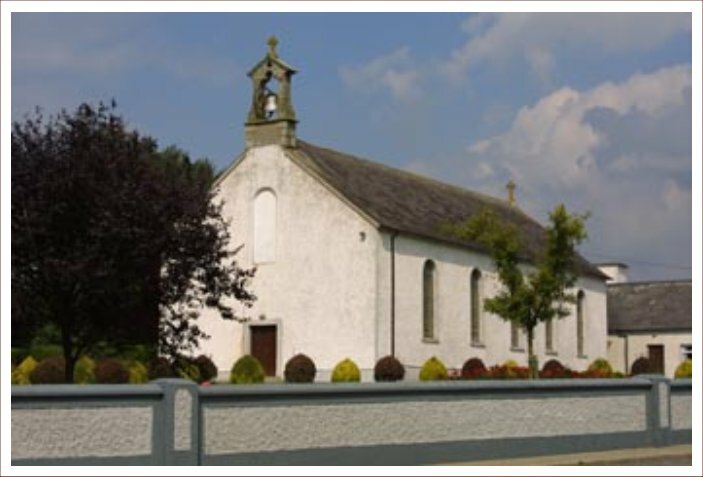 The building Pastor was Fr John Blanchfield PP. 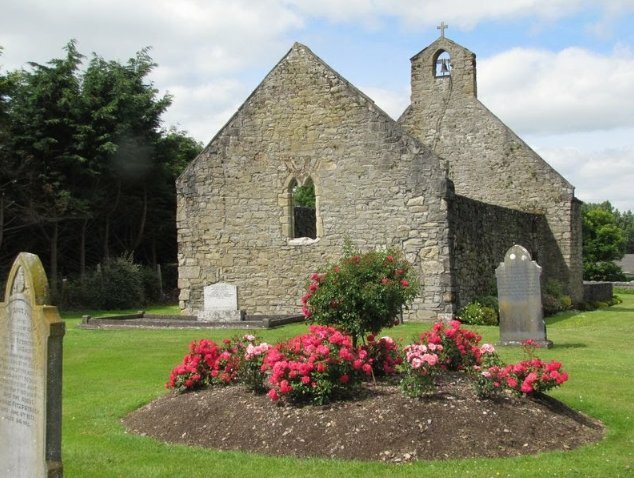 Killinane Church, Closutton, Co. Carlow. 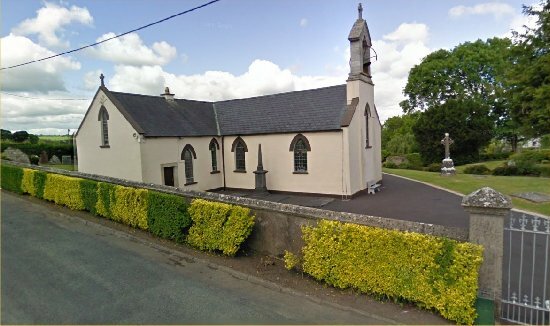 Located between Leighlinbridge and Bagenalstown. 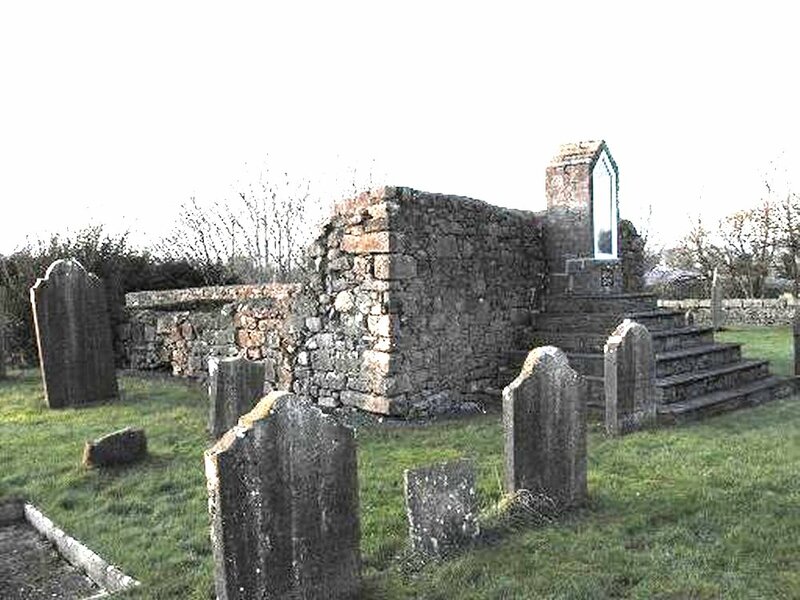 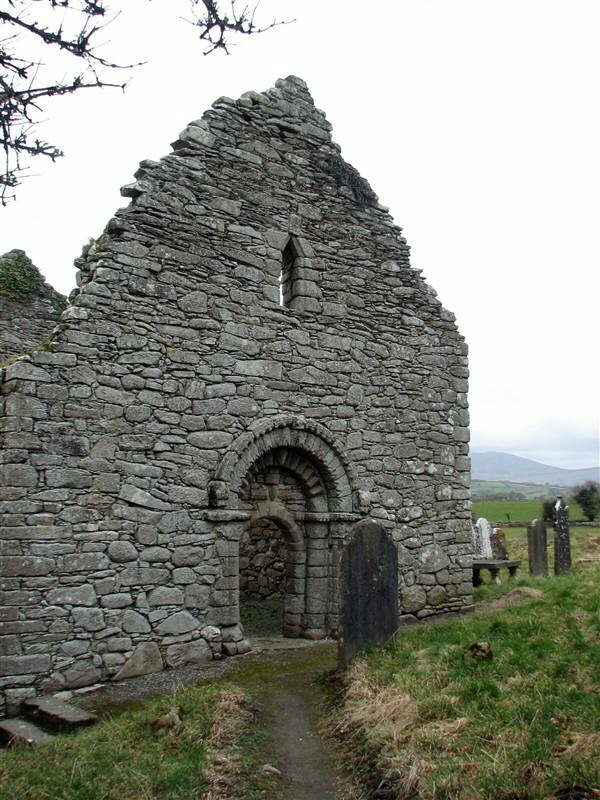 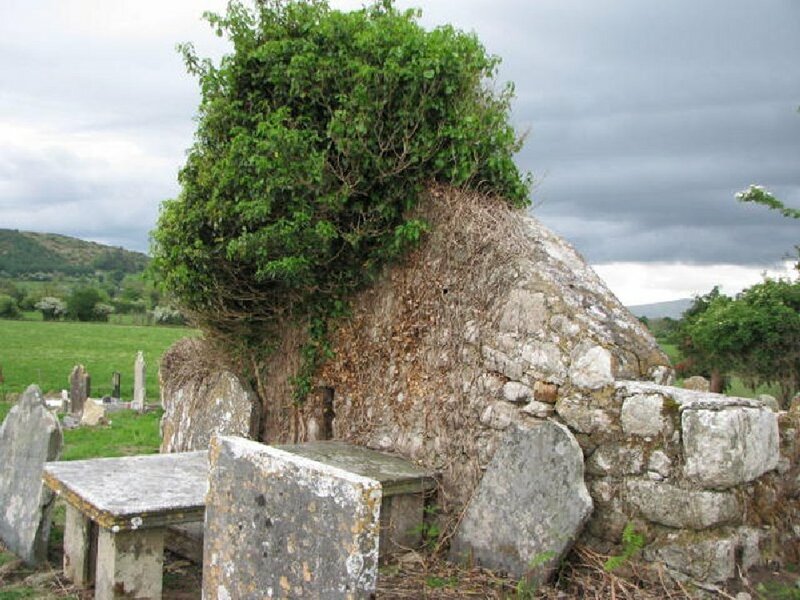 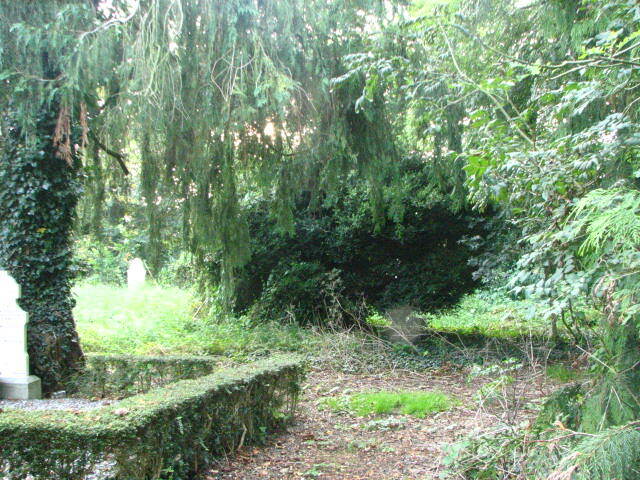 St. Fortiarnán’s church (In ruins) Killoughternane. 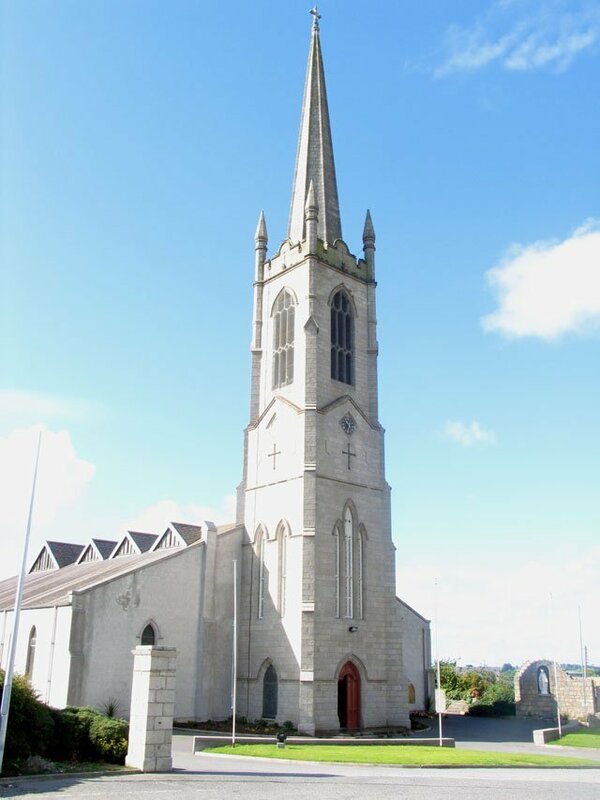 Kinneagh Parish Church of Ireland, Ballyhackett, Tullow. 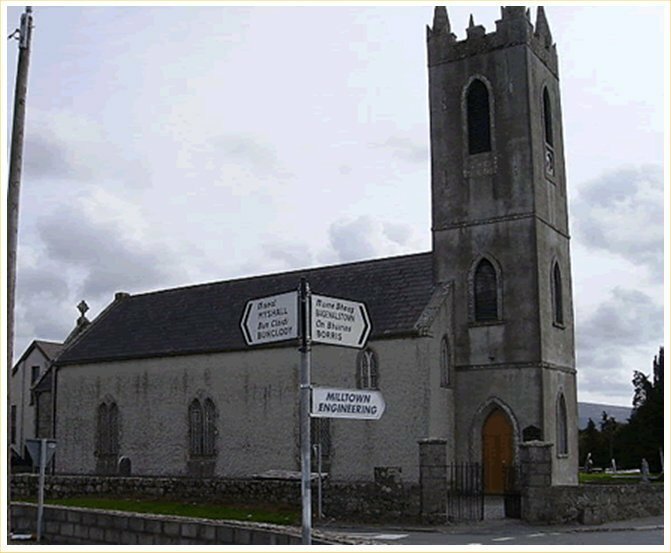 The Church of the Good Shepherd Lorum Church of Ireland Church. 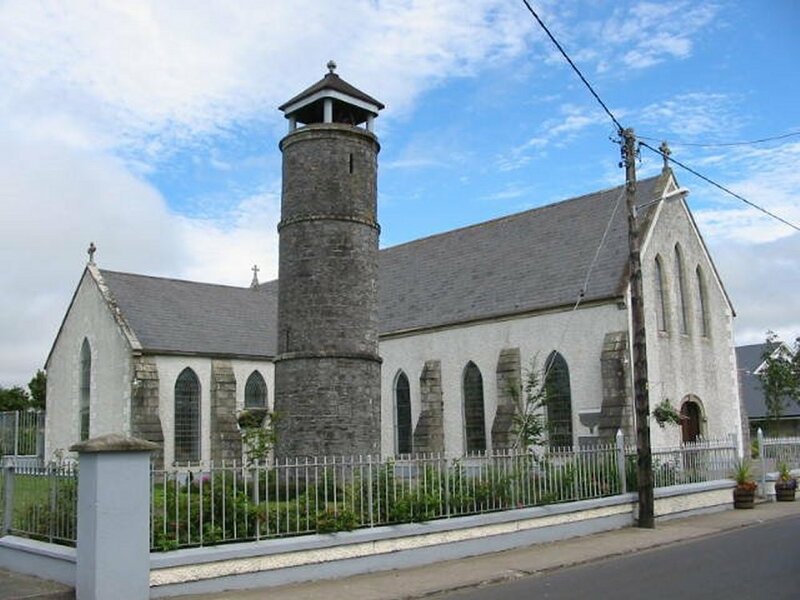 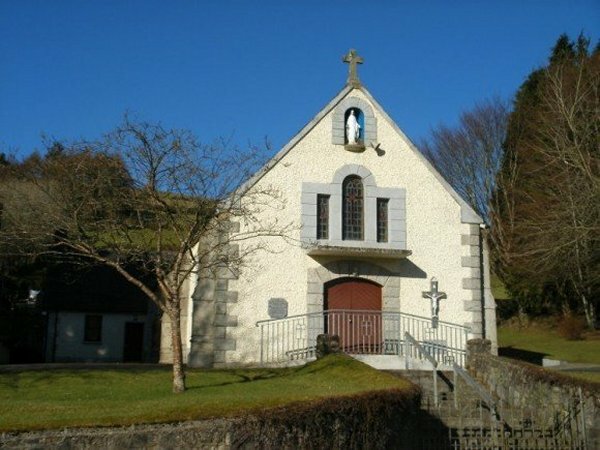 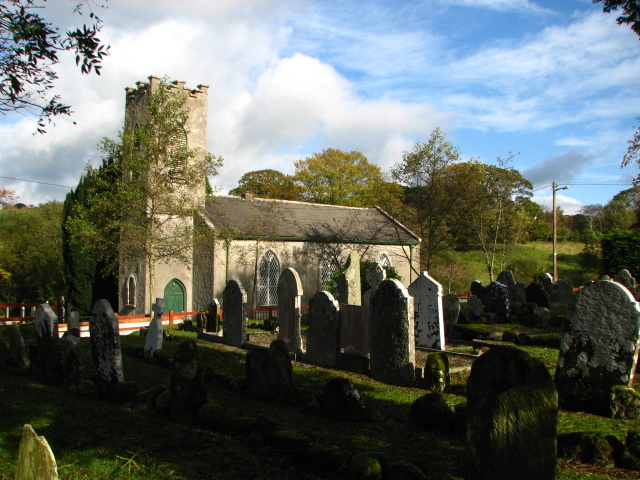 St. Lazerian's Church, Leighlinbridge. 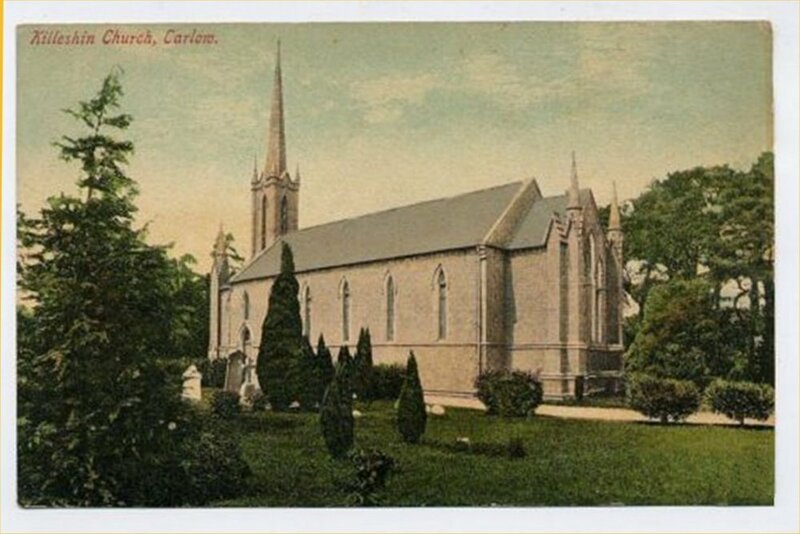 Co Carlow. 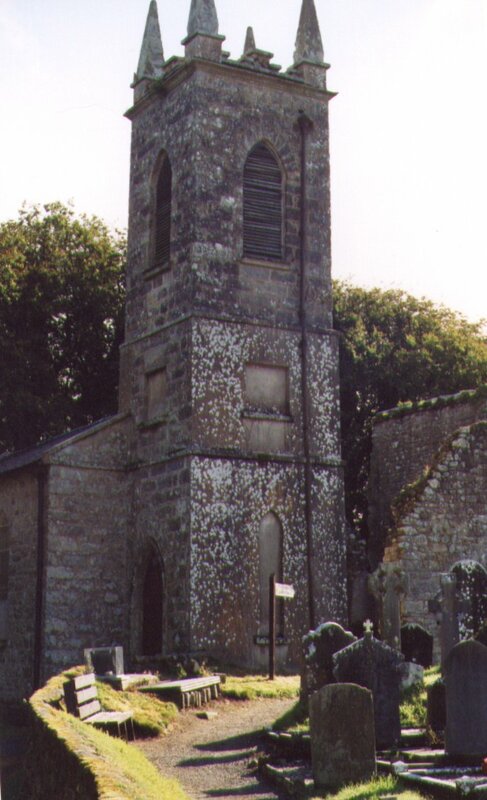 This church has a round bell-tower. 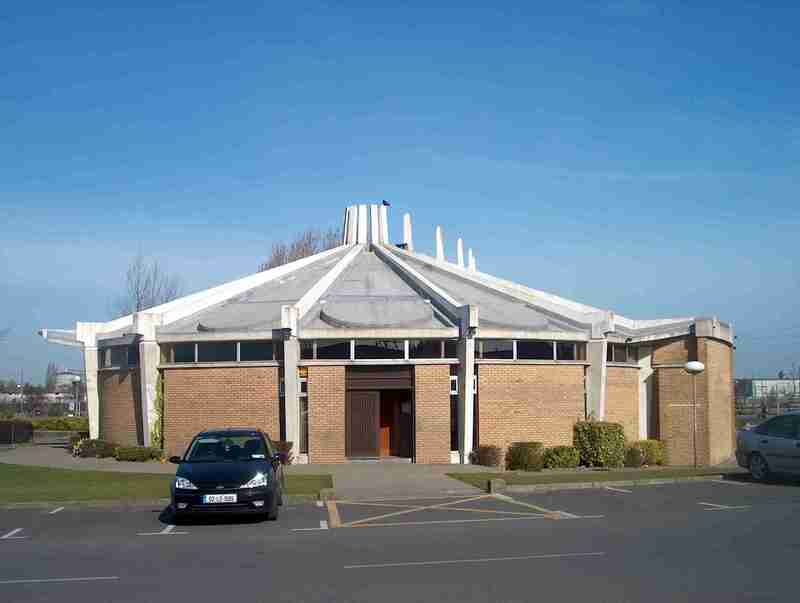 Adelaide Memorial Church of Christ the Redeemer in Myshall. 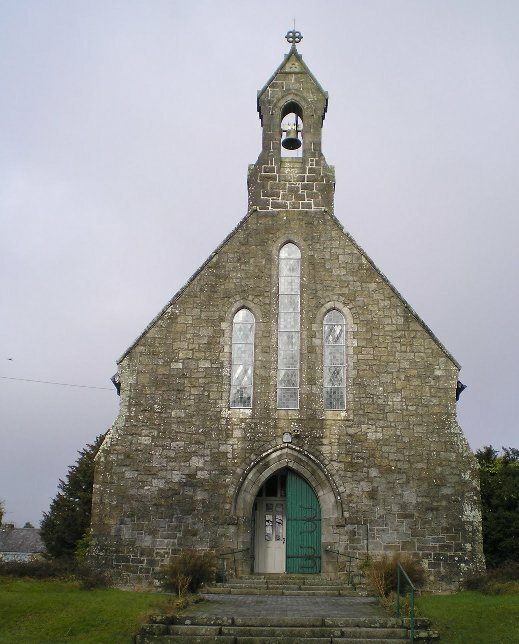 Catholic Church of Exaltation of the Holy Cross, Myshall. 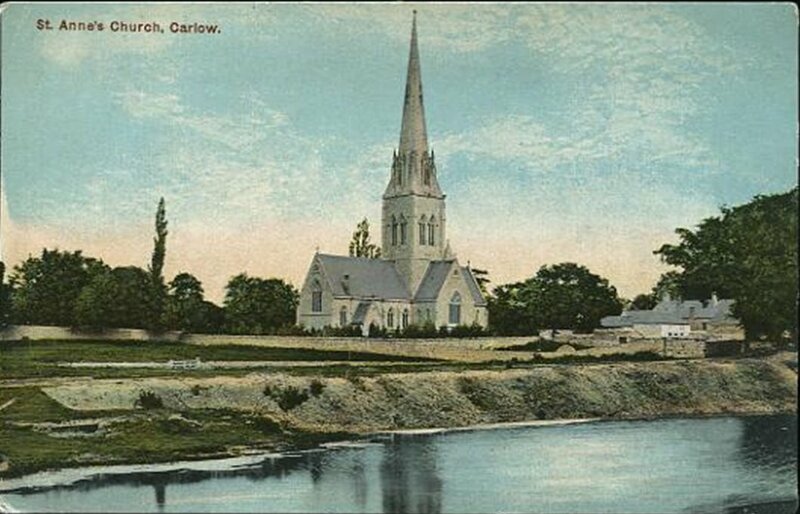 Co. Carlow. 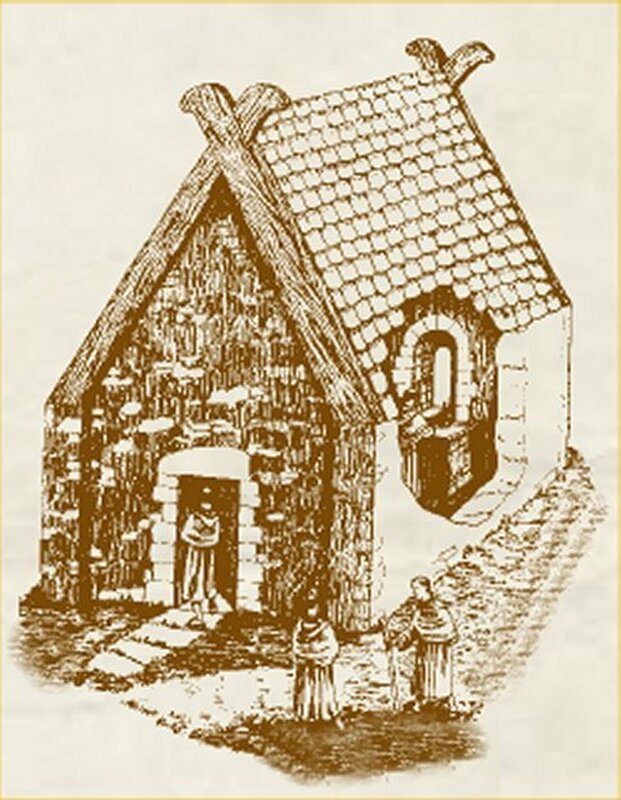 Hand drawing of the ruin of St. Bridget's church at Slyguff by R.F. 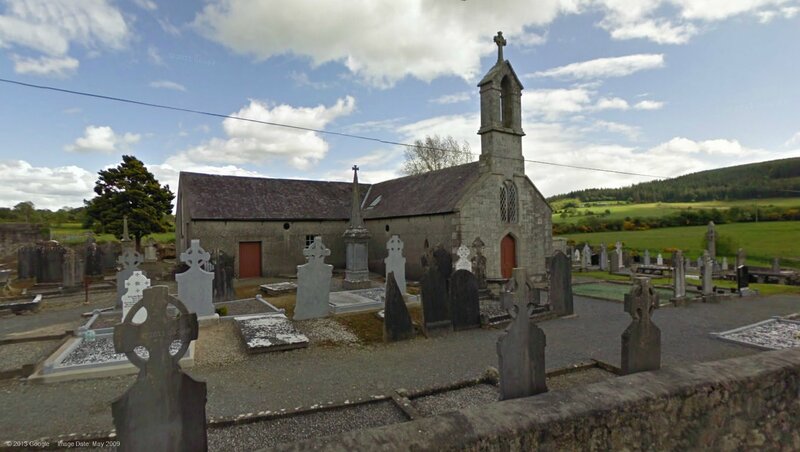 St. Mullin's (St. Moling) in Co. Carlow. 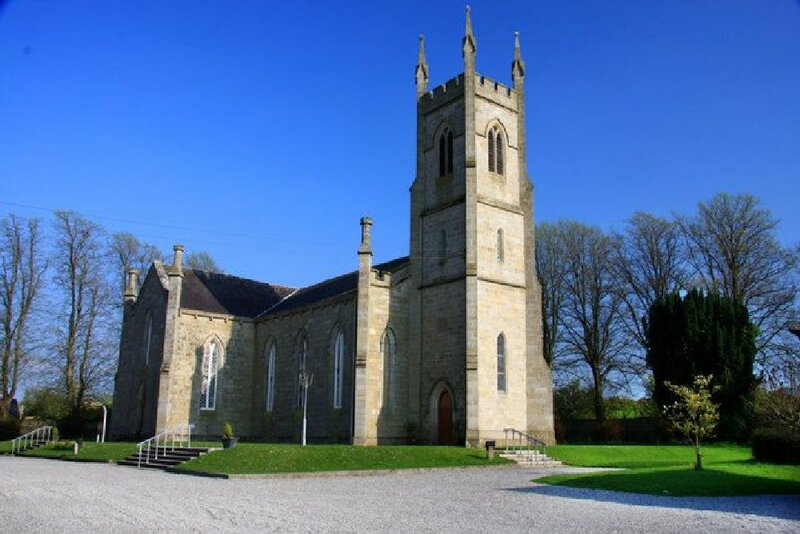 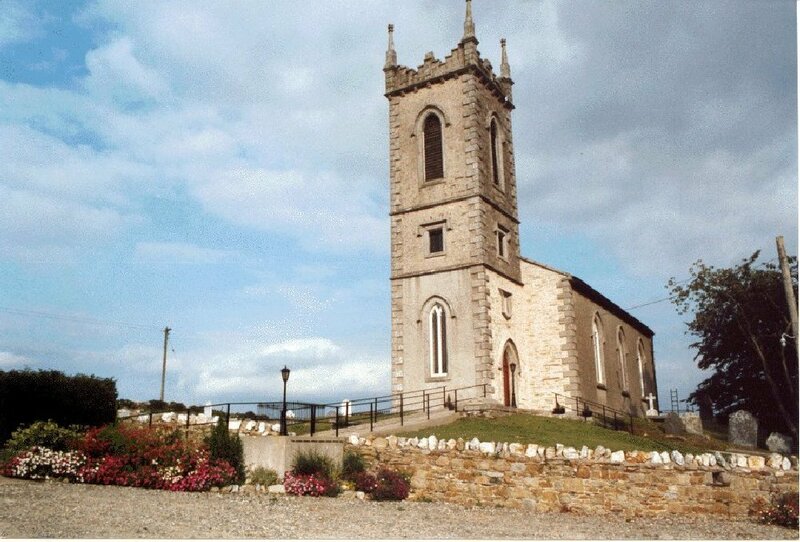 Church of the Most Holy Rosary, Tullow. 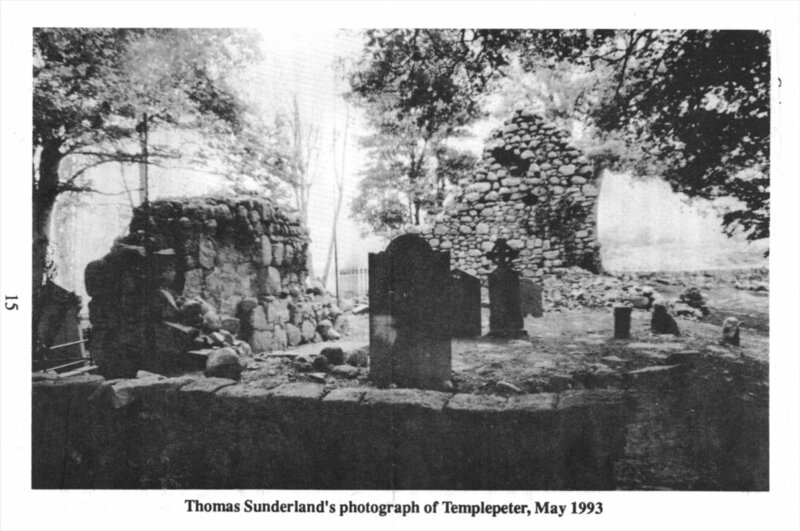 Thomas Sunderland's photograph of Templepeter, May 1993. 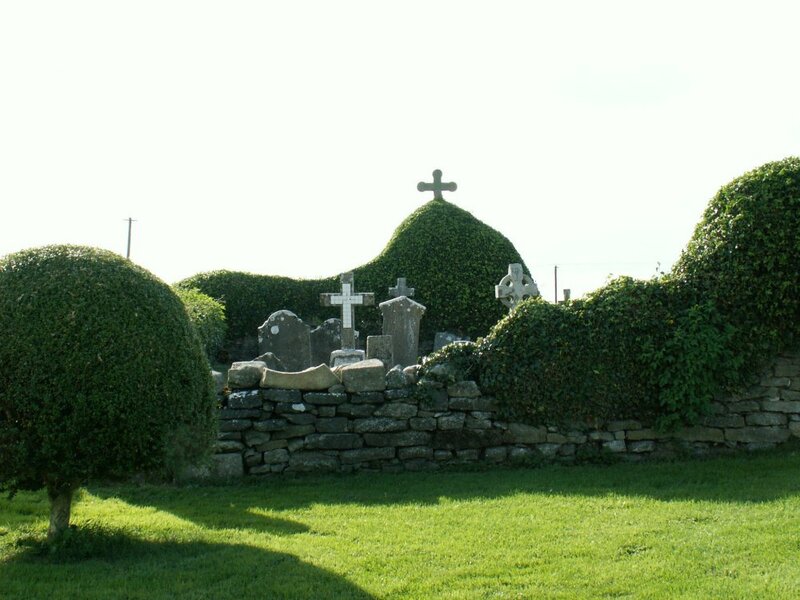 A small church and graveyard from around the 17th century. 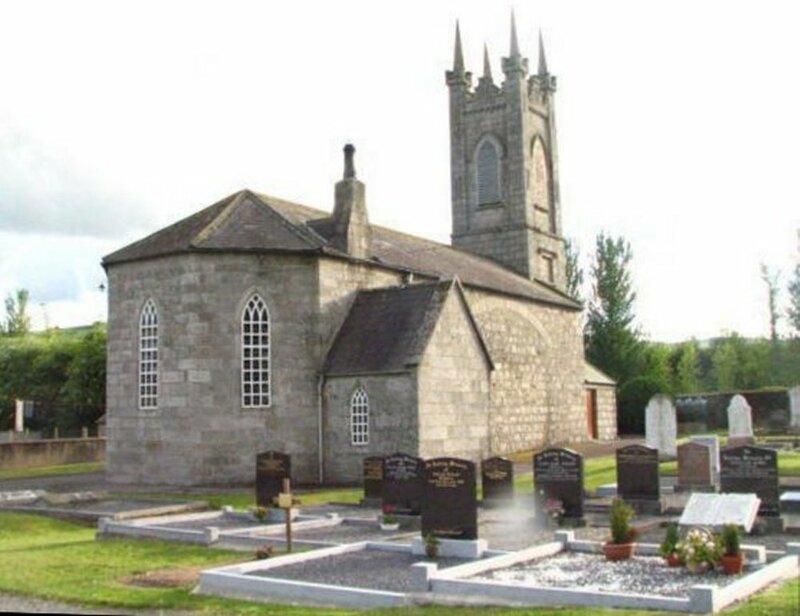 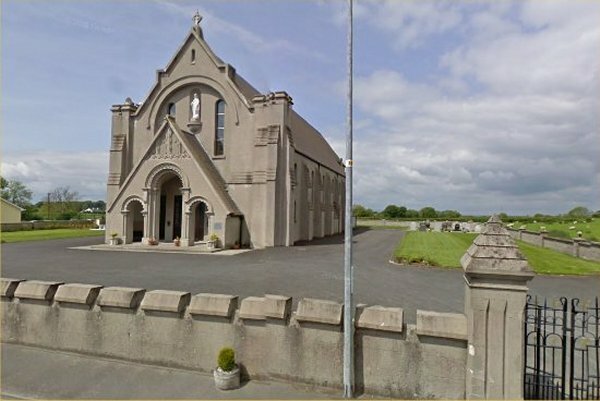 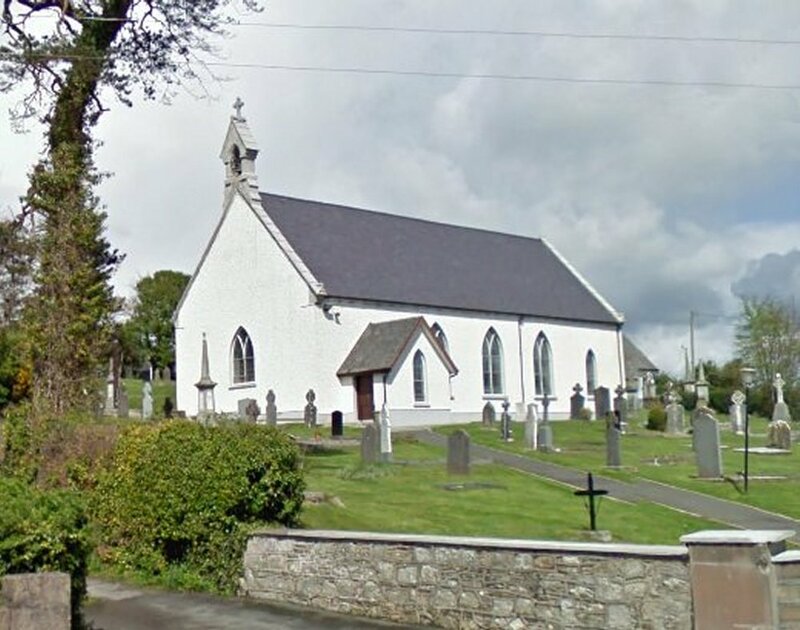 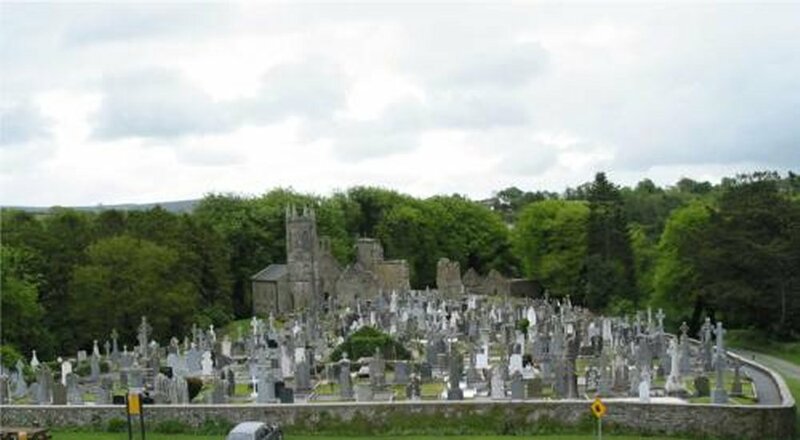 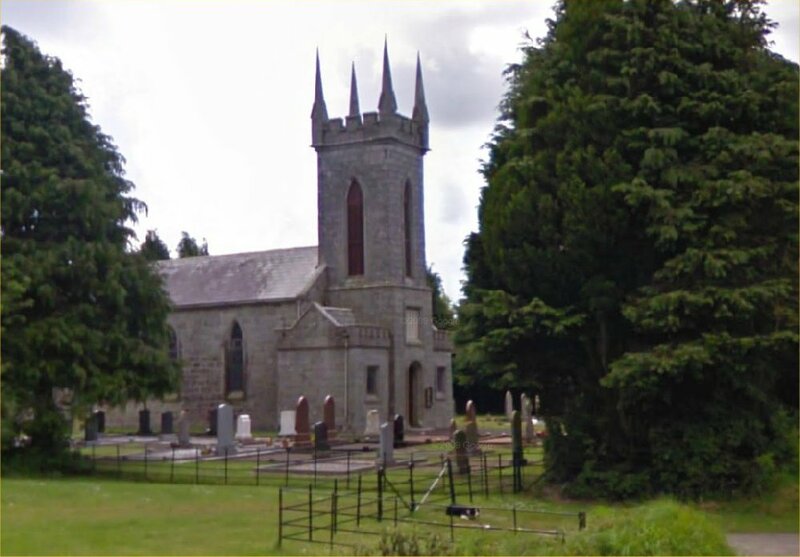 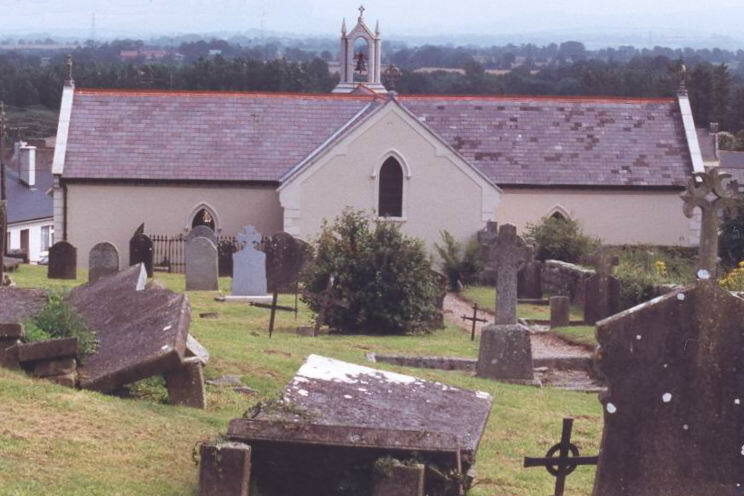 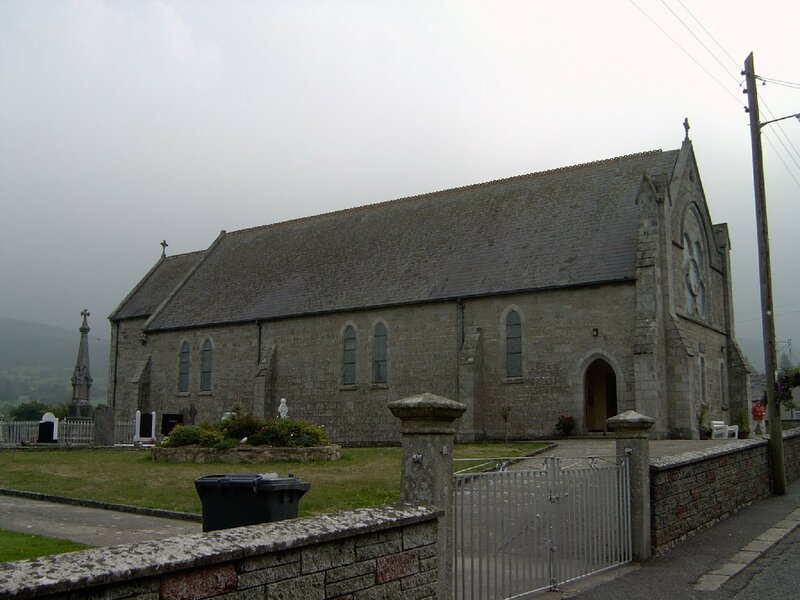 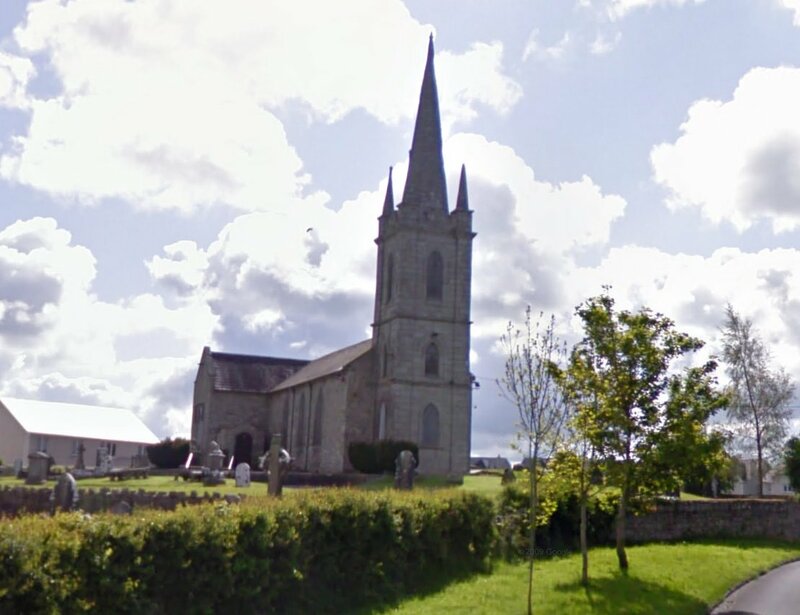 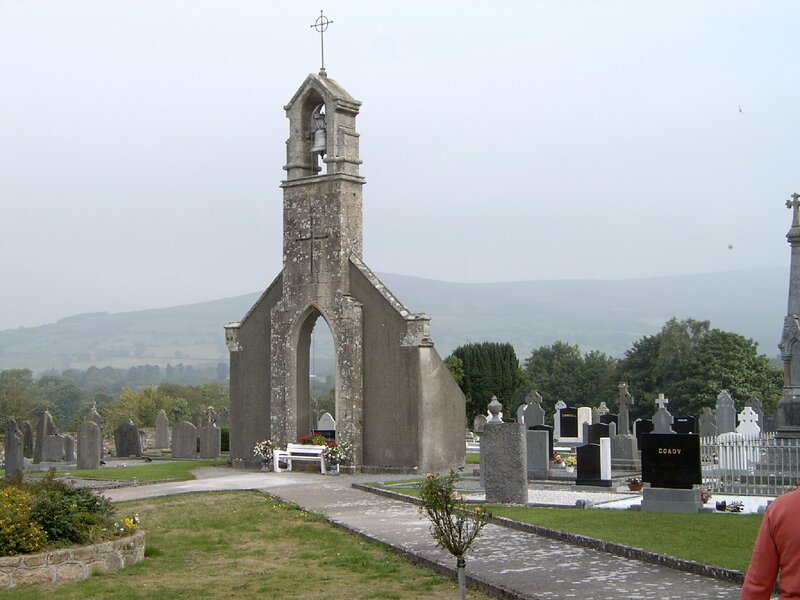 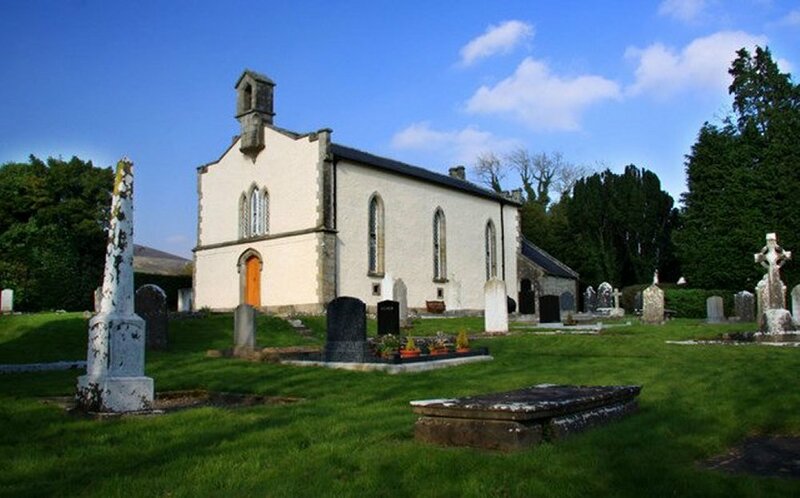 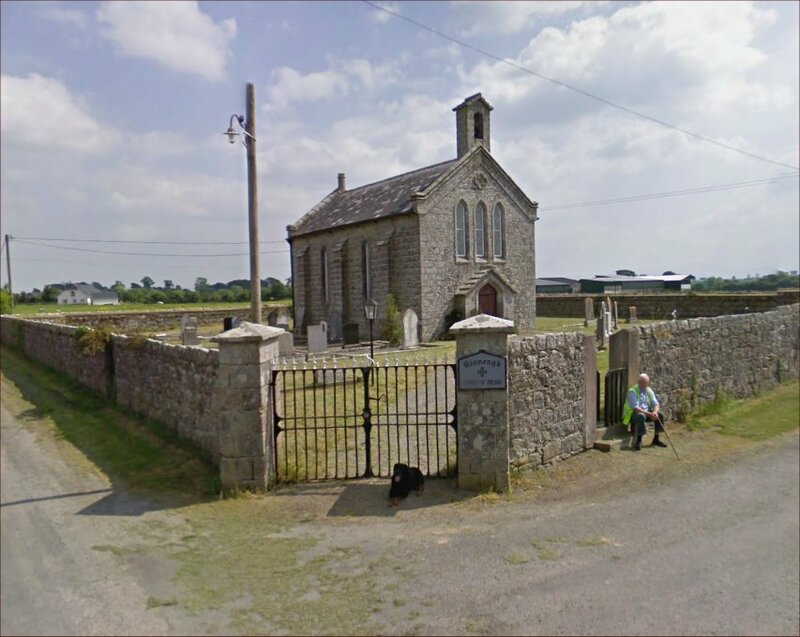 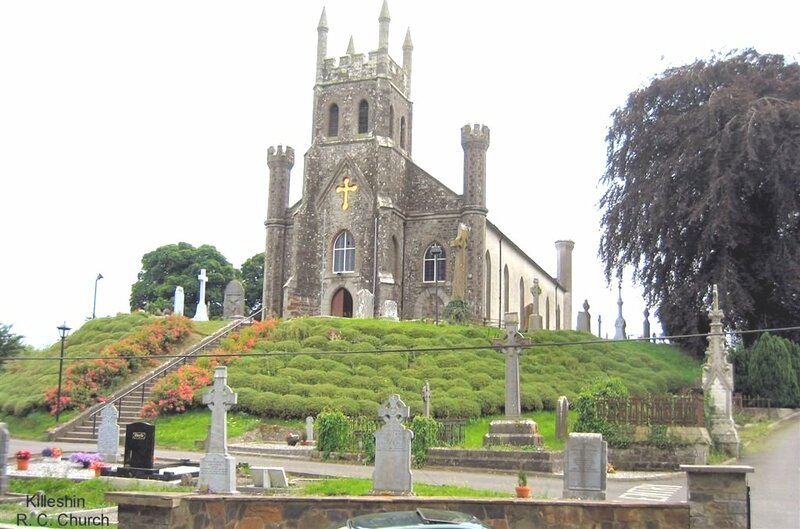 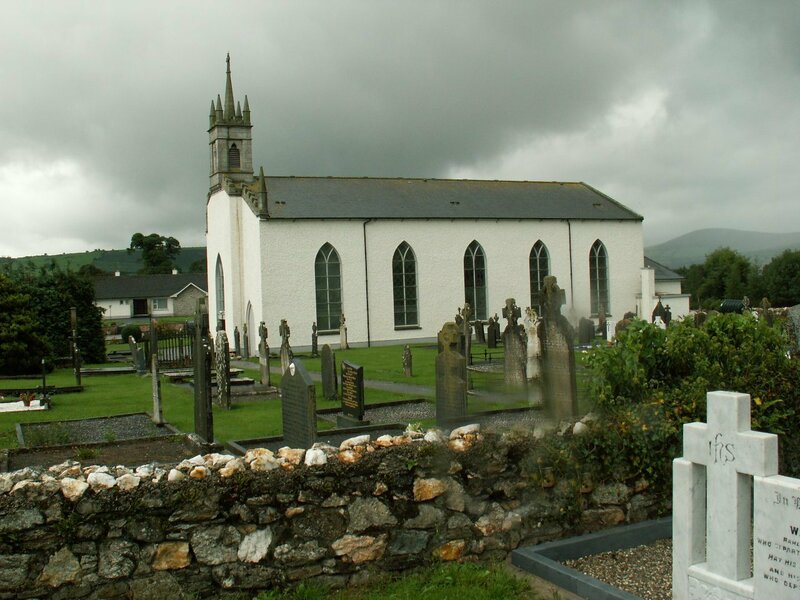 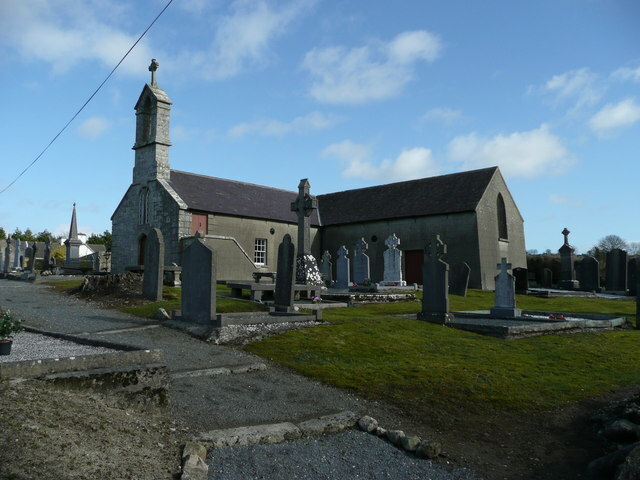 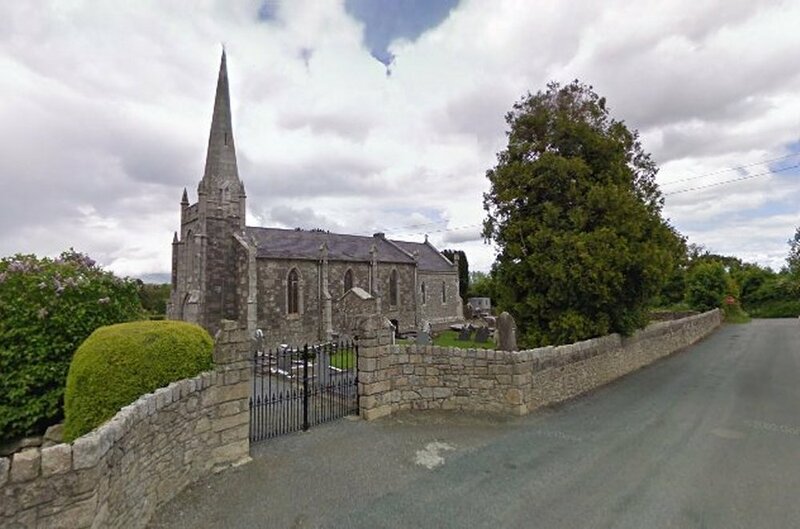 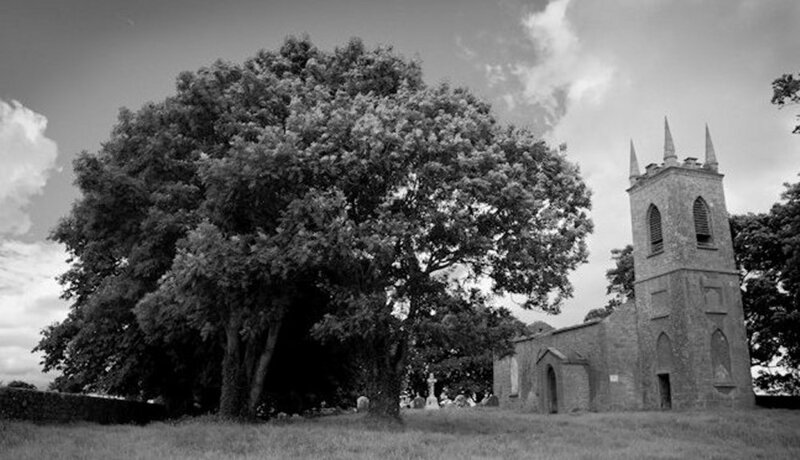 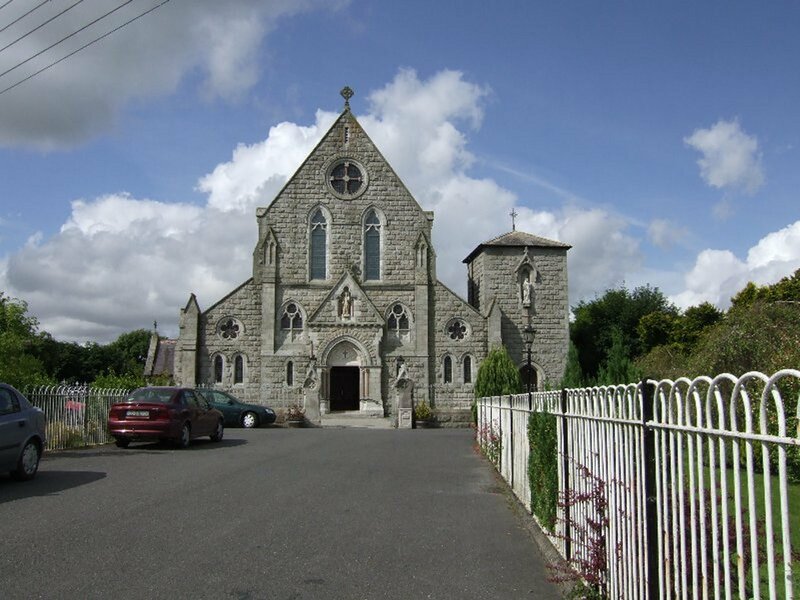 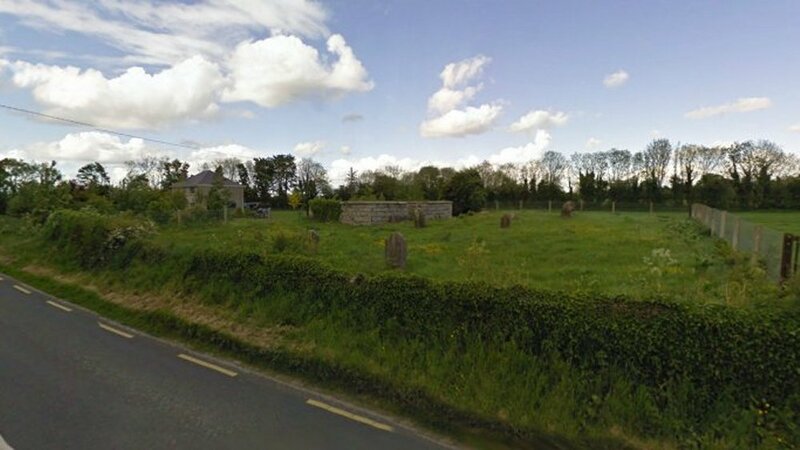 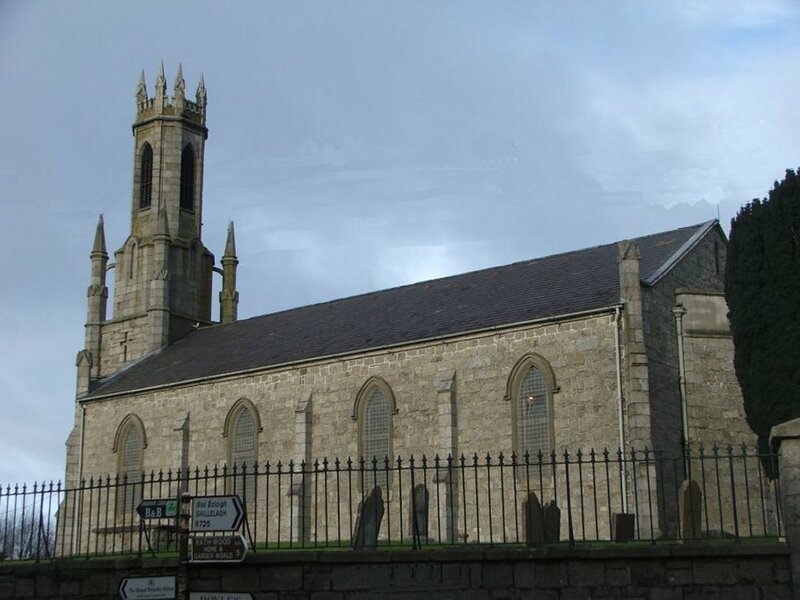 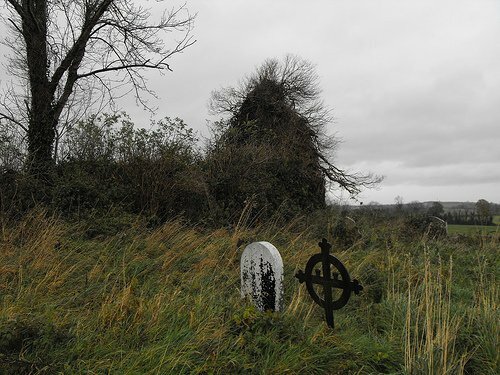 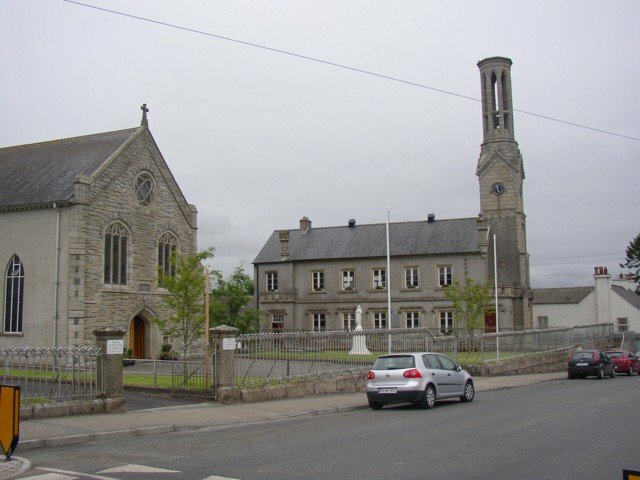 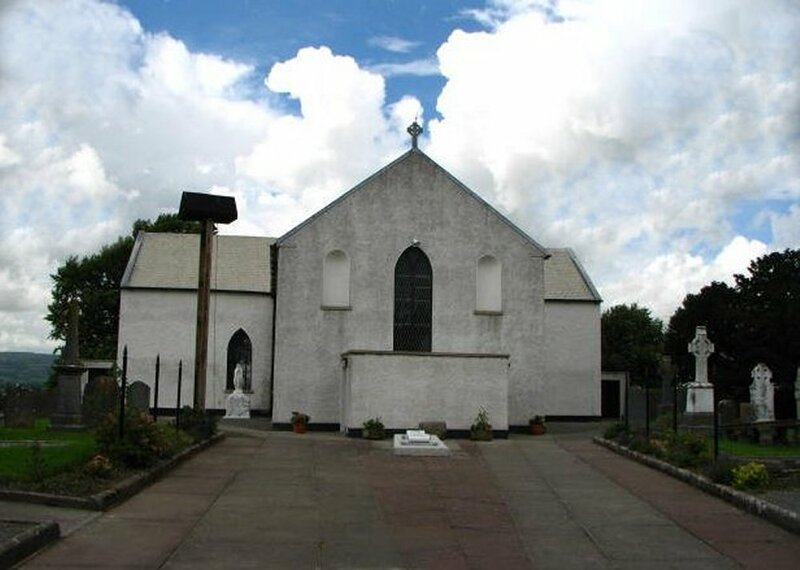 The church and graveyard are located a short distance from the main Ballon to Carlow road. 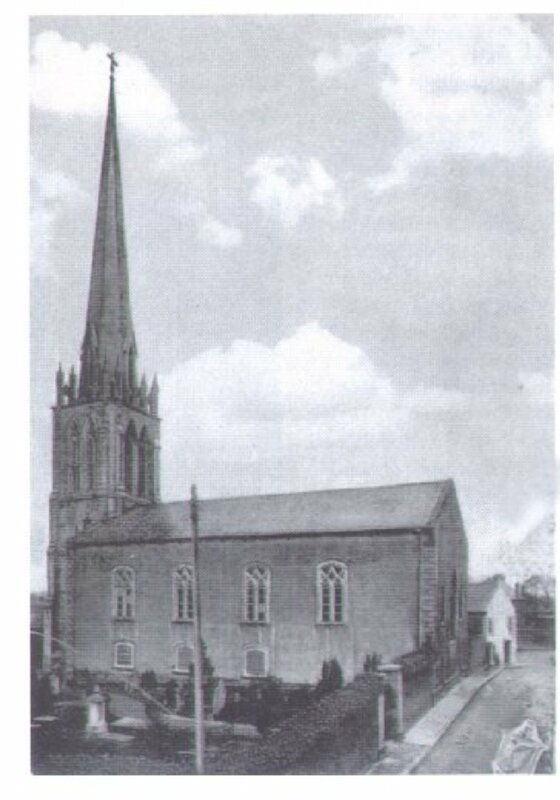 "The Church that went across the Barrow"